Jung Ko was born in Kwangju, Korea. He used to train the military police in Korea and was the former security team leader for two Korean presidents. 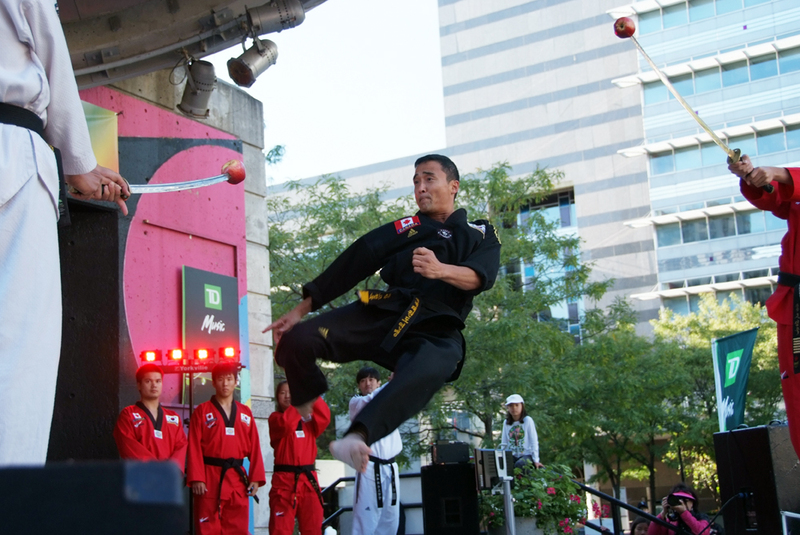 He has been operating Jung Ko Taekwondo 1982 and has helped trained numerous champions. In 2002, he received the Queens Golden Jubilee medal and is very well respected member of the Taekwondo community. Jung holds a 8th Grandmaster degree from the World Taekwondo Federation. When did your athletic career begin?My athletic career began in 1982. What adversity have you had to overcome as an athlete?During my time in Korea, competing in the national championships in Korea as a provincial representative was challenging. It was also very difficult managing both our Canadian and World champions from Jung Ko Taekwondo and finding the right balance between teaching and coaching. We have produced many national champions and world class competitors through our club. How has working out impacted your life?Working out has not only helped me stay disciplined, but it has also allowed me to remain positive, enthusiastic and energetic. How often do you train and for how long?I train 3 times a week for 1-2 hours to go along with teaching everyday. What is your number #1 fitness tip?Training your mind is just as important as training your body. The body and mind work together and both should be healthy and positive. Therefore you should set your mind first towards focusing on your goal before training to get the best result. I first met Master Jung Ko in 2002 and have been training at his school for the last 14 years. I’m not sure if I have ever met a better athlete than Master Ko. The fact that he is 55 makes his current physical state truly remarkable. About 10 years ago we were having a chin up contest with some of the guys at the club. I thought I might have had him when I banged off 20, but he did 21. One BIG difference his were clap chin ups. Never seen anything like it. Truly a remarkable athlete and person. Great information on the power of the mind. The mind body connection is so crucial to how live our lives. Good point Lisa. I agree.